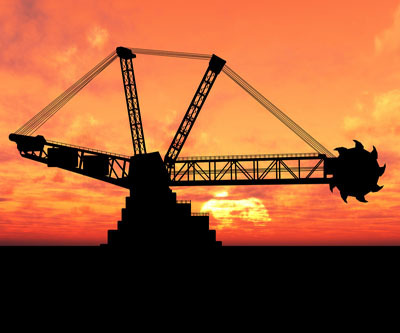 A new market report published by Transparency Market Research shows the global mining equipment market is expected to reach USD 117.0 billion by 2018 from USD 71.5 billion in 2012 at a CAGR of 8.5% from 2012 to 2018. In "Mining Equipment Market – Global Industry Analysis, Size, Share, Growth, Trends and Forecast, 2012 – 2018," the analysts say the Asia Pacific market was in a commanding position having contributed more than 60% of the entire mining equipment market share in 2012. The global mining equipment market is primarily driven by factors such as increasing mining activities in developing countries and the rising demand for technically advanced solutions across the globe. The large iron ore projects planned in Brazil, Russia, Australia, Africa and other regions are expected to drive the mining equipment industry in coming years. Mining activities in oil refineries, coal mining and other underground mining activities taking place in the emerging markets, especially Latin America and Asia Pacific are leading to huge demand for mining equipment in these regions. The surface mining equipment market holds the largest share and accounts for nearly 37% of the entire mining equipment market owing to the rising demand for metal and mineral commodities. The mining drills and breakers market is expected to be the fastest growing market in the coming years owing to their increasing demand from developing countries. These equipments are imperative in most operations, where breaking through the ground and subsurface materials are necessary. The market for underground mining equipment holds the second largest share in the global mining equipment market and is expected to grow at a moderate growth rate from 2012 to 2018. Underground mining equipment includes hydraulic shovels, cable shovels, continuous mining machines, long wall mining machines and drag lines. Asia Pacific was the largest regional market for mining equipments and accounted for approximately 60% of the entire mining equipment market in 2012, followed by RoW, North America and Europe.China alone accounts for almost 50% of the entire mining equipment market. Leading players in the global mining equipment industry include renowned names such as Caterpillar Inc., Hitachi Construction Machinery, Joy Global Inc., Komatsu Limited, Sandvick AB, and Atlas Copco. This industry is very competitive and concentrated with many mature multinational firms having their operation units across the globe. There are more than 650 companies, with the top 50 companies holding more than 80% of the industry share and competing with each other for revenue and customers, nationally and internationally. Caterpillar Inc. is the world's largest player in the mining equipment industry followed by Komatsu and Hitachi Construction Machinery.